Need to move video over IP? Learn from the experts so you don’t make a beginner’s mistake. By definition, a wide area network (WAN) connects two locations that are not on the same local area network (LAN). Transmitting video over WANs is different than transmitting video over LANs because users rarely have control over the complete network. Typically they only control the end point that belongs to each of the LANs and the WAN trying to connect them. While it’s clear that Ethernet links offer a variety of advantages, deploying them requires careful consideration and innovative system design. The benefits of IP infrastructures to broadcasters and content providers alike are well worth the effort and cost. 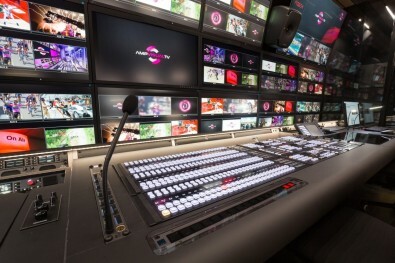 This Case Study describes how AMP VISUAL TV expanded and improved an OB truck’s routing and distribution capabilities. The article examines the design considerations and advantages of using a decentralized routing system as well as the savings that were made in infrastructure cabling cost and weight. Read the article, “OB Signal Routing & Distribution - A New Way of Thinking,” and learn how AMP Visual leveraged new IP technology in the company’s Millennium 6 truck. Let The Broadcast Bridge “Essential Guide: Live IP Delivery” tutorial, written by technology editor, Tony Orme, set you in the right direction to a successful IP installation. Click on the link to learn more.